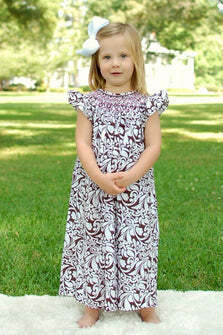 Jill is our beautiful Fall Thanksgiving hand smocked girls bishop dress. There is hand embroidered checkered pattern within the smocking in a burgundy color. The colors are perfect for Fall and Thanksgiving festivities. 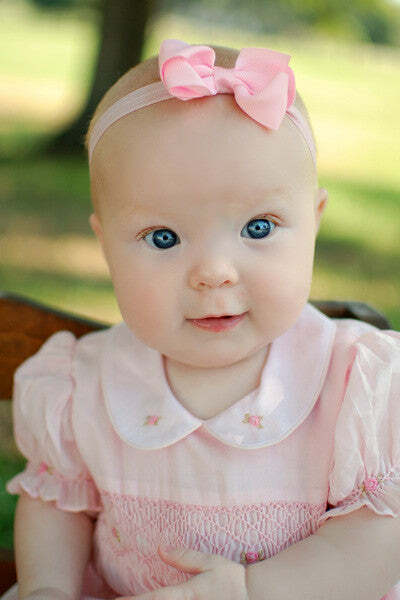 This is such a gorgeous dress your little princess will be the topic of conversation at Thanksgiving dinner. The dress is made in 100% cotton.